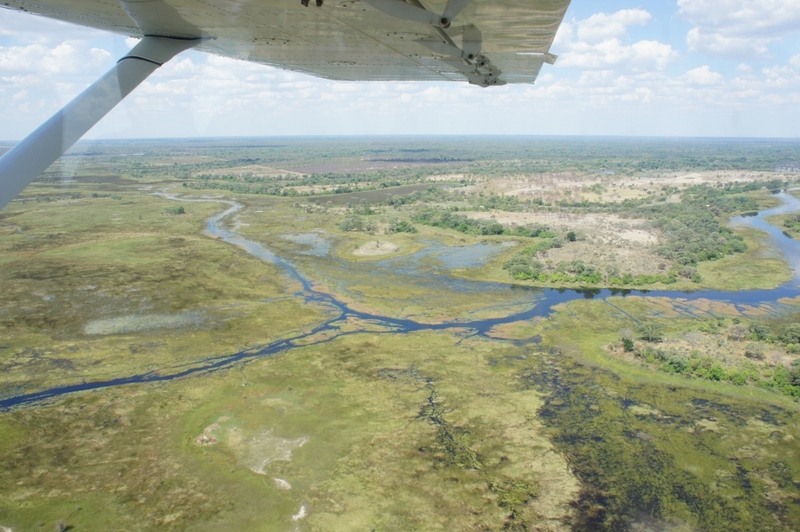 Once we entered Botswana, we made our way to the southern region of the Okavango Delta. 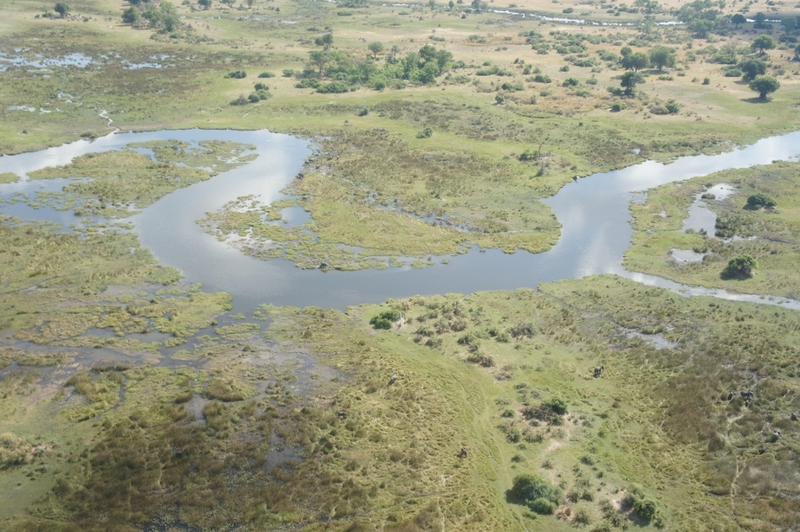 The Okavango Delta is a large expanse of water, which has traveled from the Angolan highlands, spreading out to form the largest inland delta in the world. We decided to splurge for a 45 minute scenic flight over the delta. When in Botswana, right? 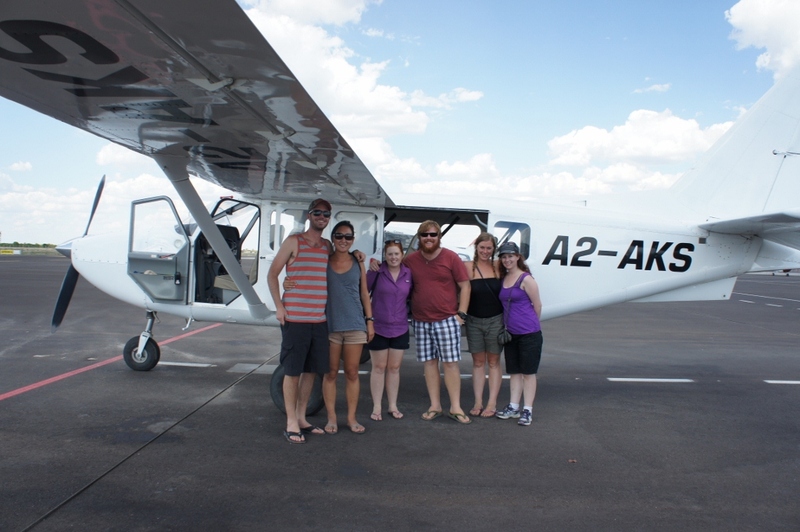 We hopped on a tiny six seater airplane and were given a short safety briefing (which consisted of gestures towards the emergency doors, mentions of a five liter bottle of water and a few band-aids) before taking off. Within minutes, the landscape changed from huts and cows to lush waterways. 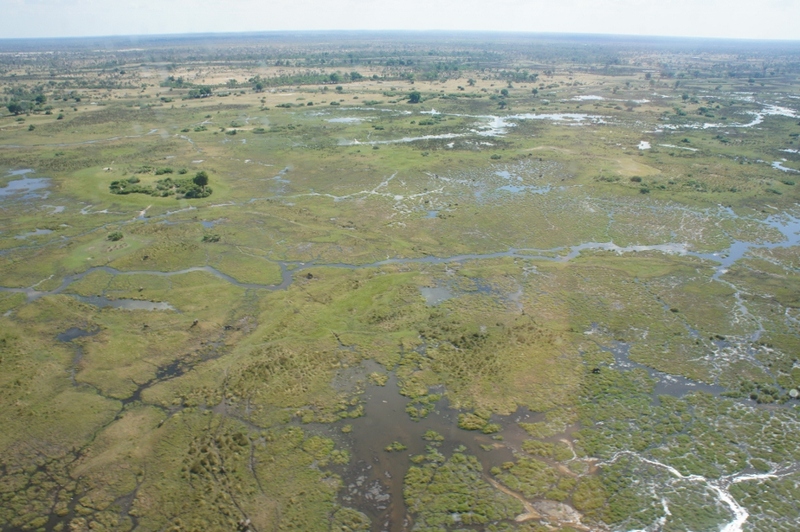 It wasn’t long before we were flying 500 feet above hundreds of hippos, wildebeests and herds of elephants who were all seeking refuge in the delta. Seeing so many animals from a bird’s eye view was so surreal and these pictures don’t do justice to the experience. 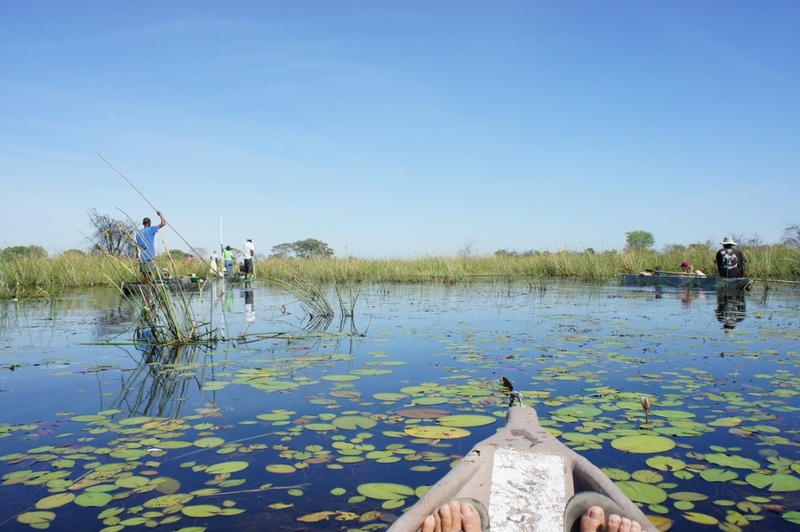 We spent the next two days bush camping within the Okavango Delta. Our truck drove us to the Mokoro poler’s station where we met delta locals who poled us in mokoros (dugout canoes) to an uninhabited island. Our poler, Oracle Miracle, loaded up our mokoro with our camping gear and navigated us through the delta’s waterways. 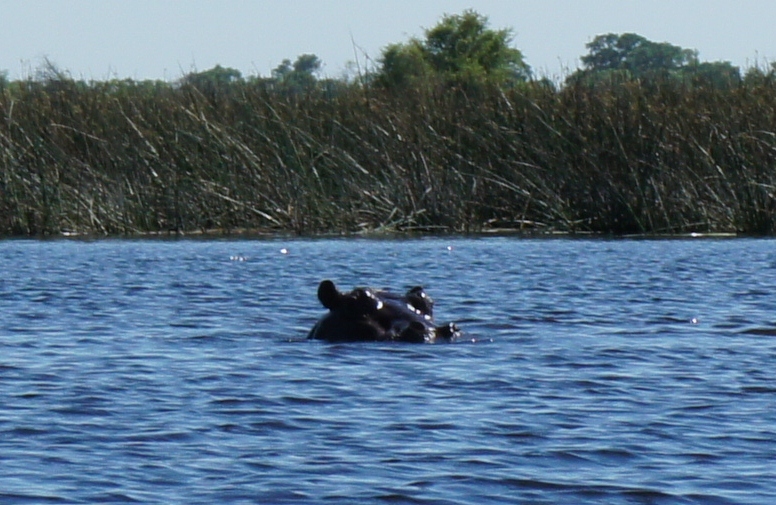 The waterways were filled with reeds, lily pads, beautiful flowers and… hippos! Each day, we would go for at least one game walk. The delta is known for their prime wildlife viewing but because we were on foot, we could only cover a short distance. 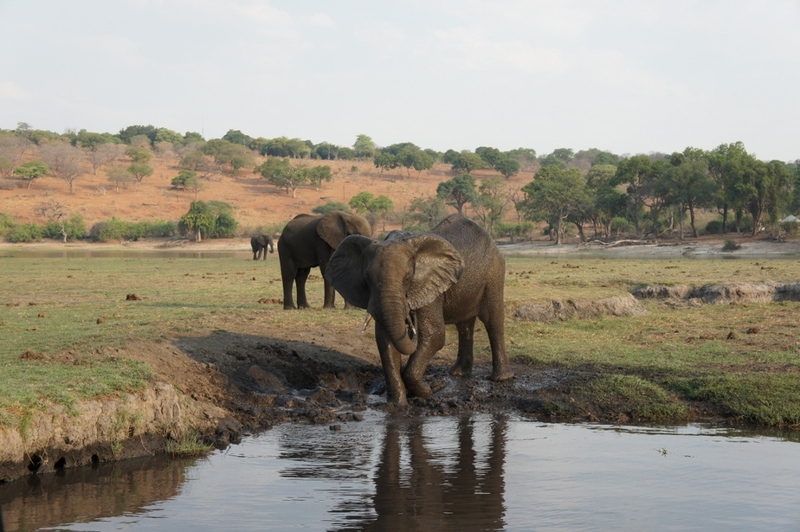 We were still able to see zebra, elephants and other wildlife without barriers or fences. The afternoons were spent playing cards and swimming in the island’s watering hole. 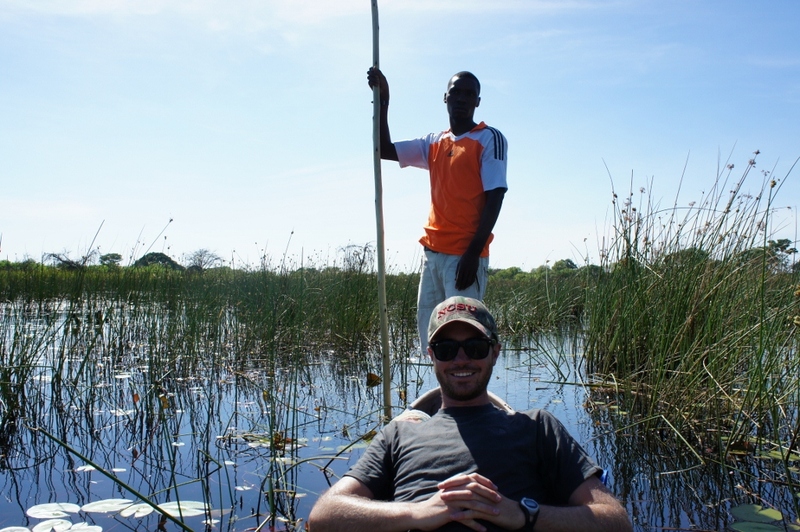 Chris tried to learn how to pole a mokoro and the boys picked water flowers for us. 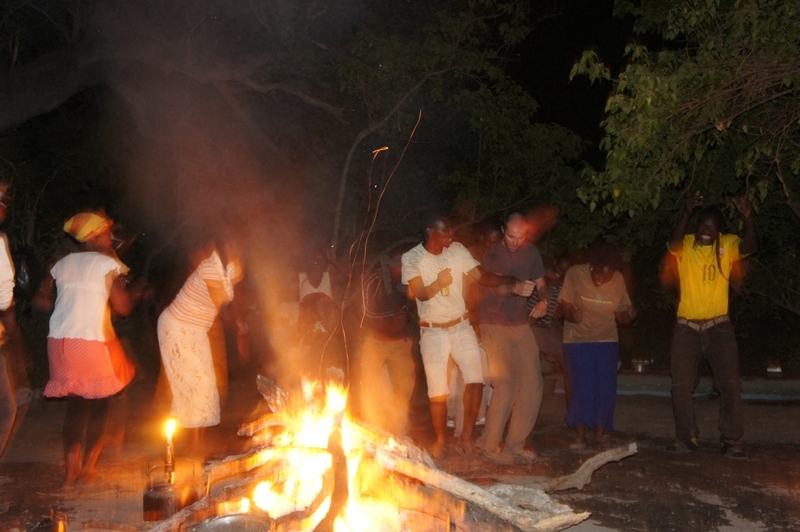 On our last evening in the delta, all of the poler’s treated us to a night of traditional African song and dance. They danced and sang with so much heart and happiness that it gave me chill bumps to witness. We all joined in on their last few dances and they taught us one of their native songs which was so fitting for days we spent in the delta and in Botswana. Even now, Chris and I continue to sing the song in hopes that we never forget spending time with those amazing people in the delta. I shall never forget beautiful People. I shall never forget beautiful Delta. I shall never forget beautiful Botswana. I shall never forget beautiful Africa. 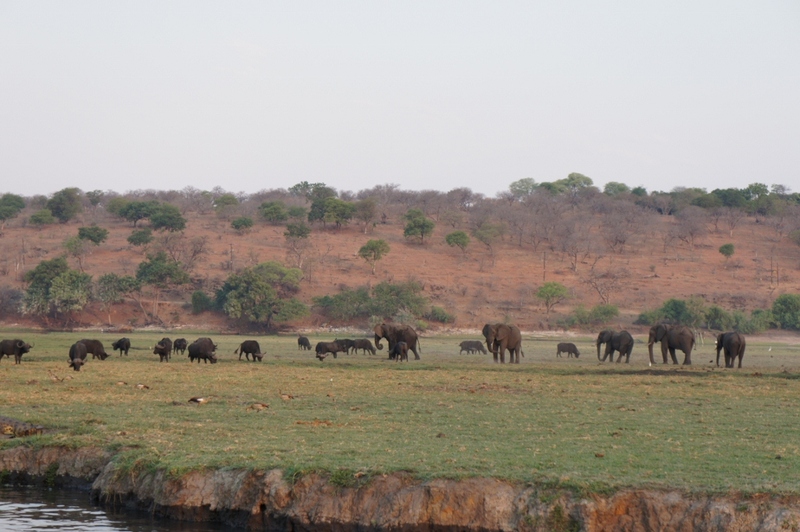 Our next stop was Chobe National Park. 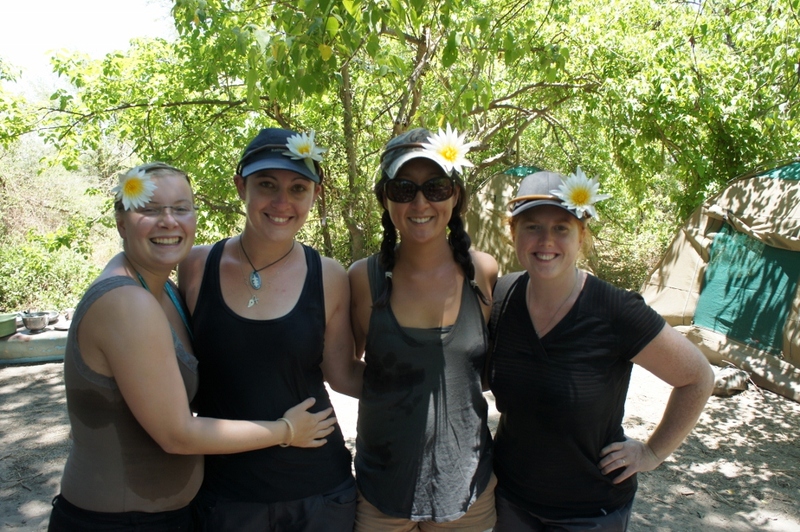 The group hopped on an open air 4×4 vehicle to take us through the park for the afternoon. We gave our driver an assignment to find us cape water buffalo and a leopard (the remaining animals in our search for the Big Five). 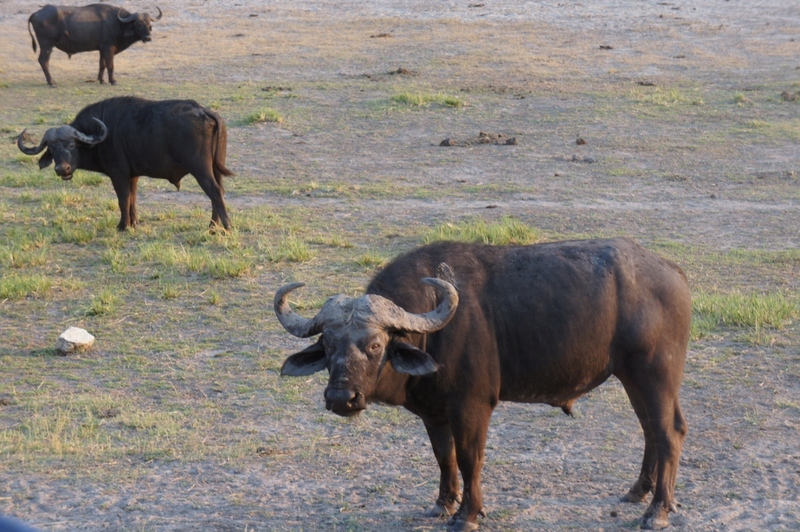 Within a few minutes, we pulled up along the Chobe River and there they were… tons of cape water buffalo grazing just a few feet away. 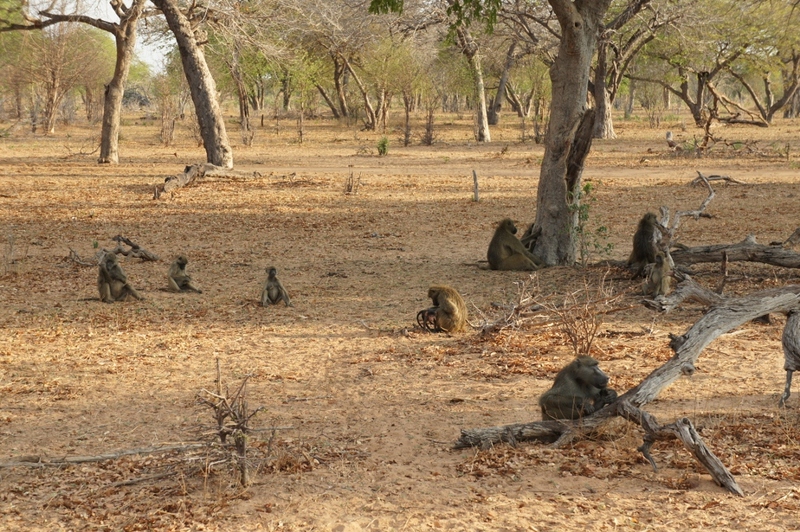 We continued until we saw a large gathering of baboons, many of which were caring for their young. 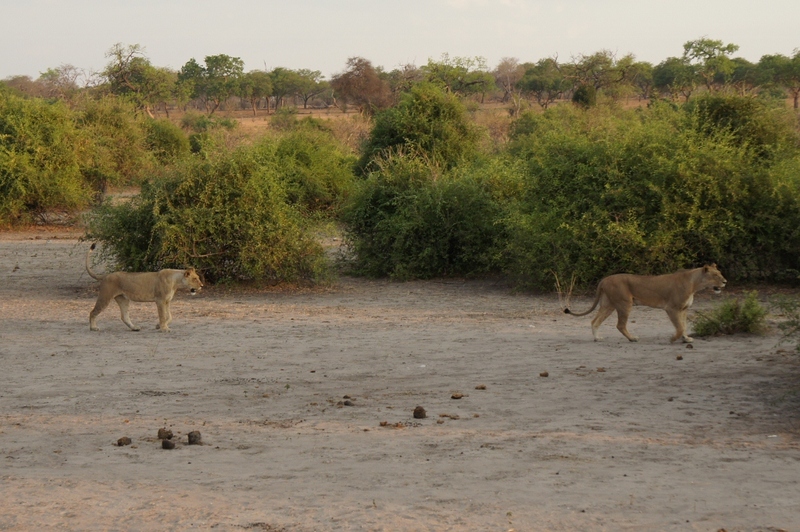 As the sun began its descent for the day, we happened to pass by two large female lions. They seemed completely uninterested in our truck full of tourists and set off to hunt for the night. 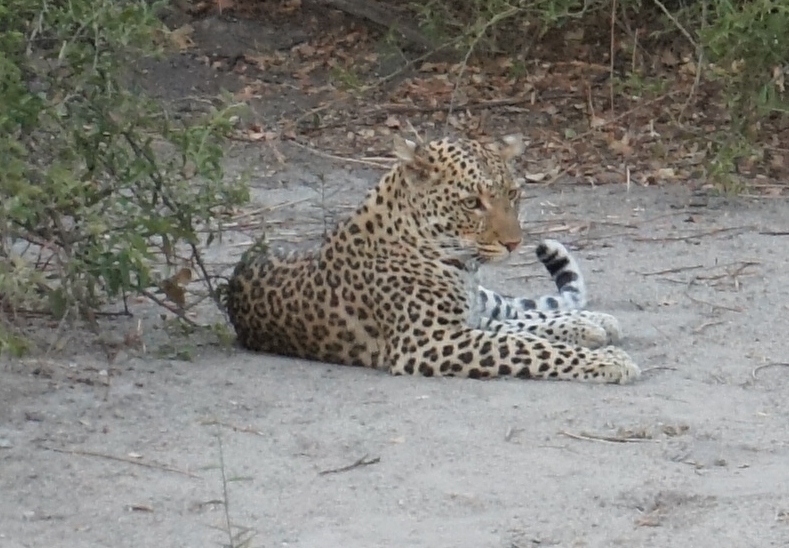 We drove along the river and our group had only one thing on our minds…to find a leopard. 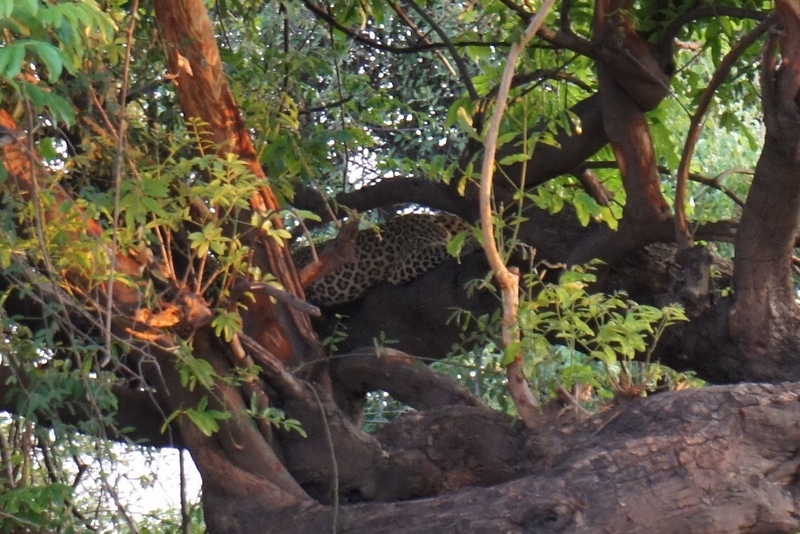 Leopards often lay in tree branches close to the river so they can stalk their prey drinking by the water. Once they make their kill, they drag their meal up into the trees to eat their dinner. As we searched the branches, we started to approach several other safari vehicles parked by a nearby tree. We pulled up and hidden in the branches and brush was a leopard. We could smell its recent kill and could also see the remains of a previous antelope dinner. It wasn’t long before the leopard climbed down the tree and walked around the corner. Our guide drove us to the other side of the trees where we could get a better view. 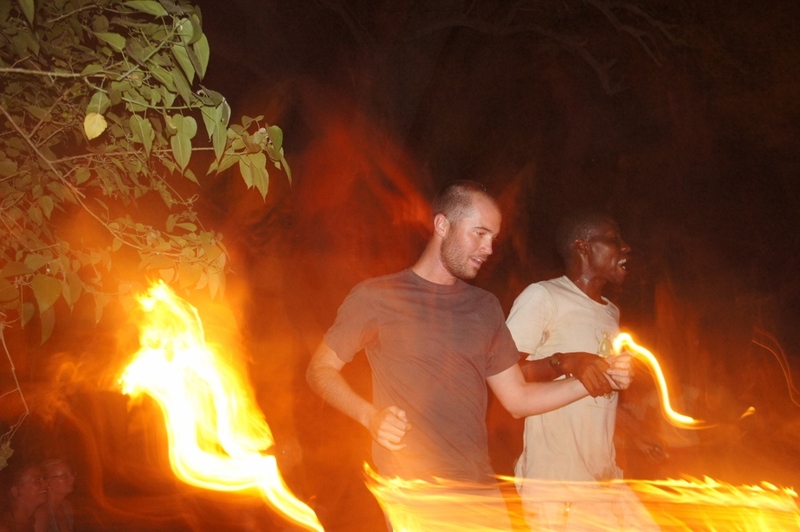 That evening, we were the only people in Chobe to bush camp inside the national park. Our tents were setup in a circle to create the illusion of a barrier to protect us from the surrounding wildlife. The lions we spotted just an hour before were only 200 yards away so we spent the evening around the campfire listening for animals. In the middle of the night we could hear the screams of hyenas and movement from elephants and other wildlife. It was an incredible experience to camp inside the park. The next morning, we packed our camp and started our morning game drive to take us back out of the park. 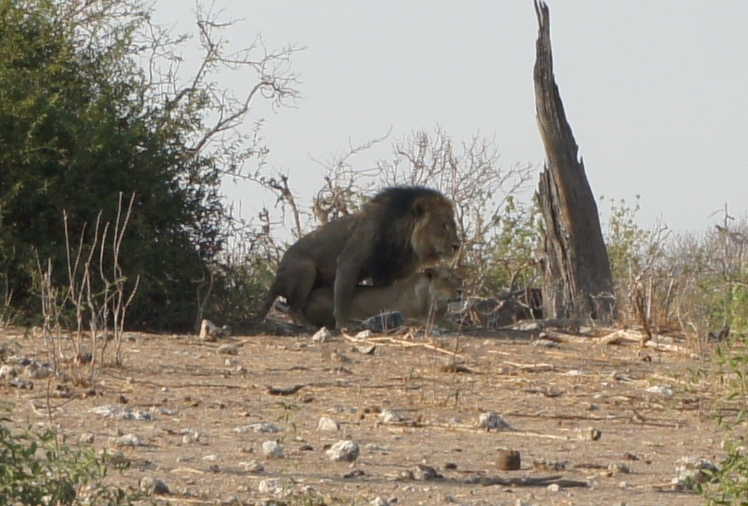 We told our guide that his new assignment was to find us a a full grown male lion. It must have been luck or our good fortune because not long after we started our drive, we came across what we were looking for. The lion was quickly joined by a lioness. We watched them intently and it wasn’t long before they started shagging. Our trip leader informed us that lions breed by doing it all day long. 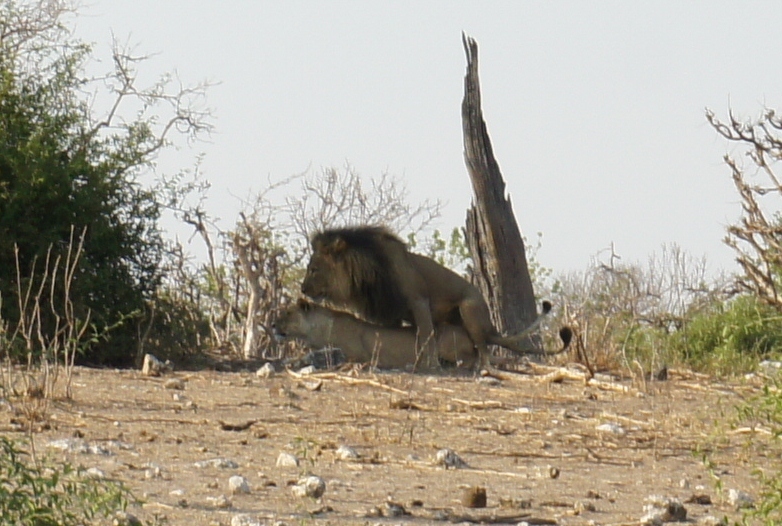 The male lion mounts the lioness and they go at it for a half a minute. They stop for a few minutes and start the process all over again…for the entire day. We felt like we were intruding as we took photos and listened to the lion’s low growl. We continued on our drive and were about to pass by another safari vehicle filled with tourists. 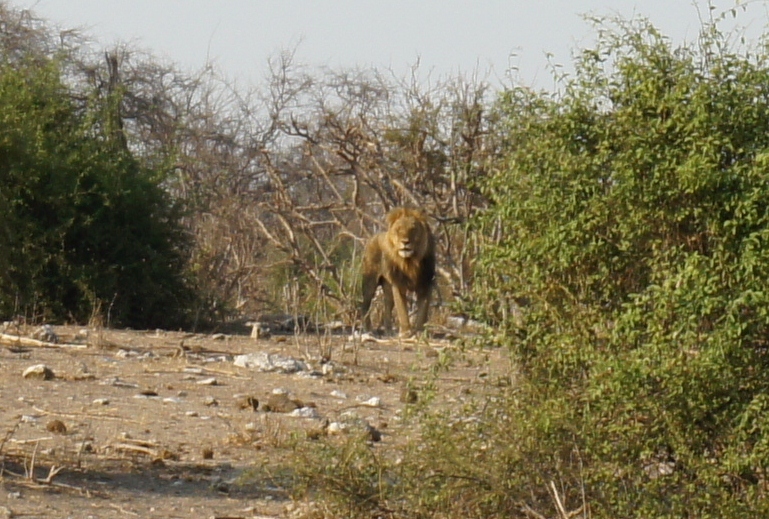 We started to wave to them when we noticed another large male lion running after their truck. The presence of our approaching truck scared him off and he retreated into nearby brush to hide. The tourists and driver in the other vehicle had no idea they were being chased down. 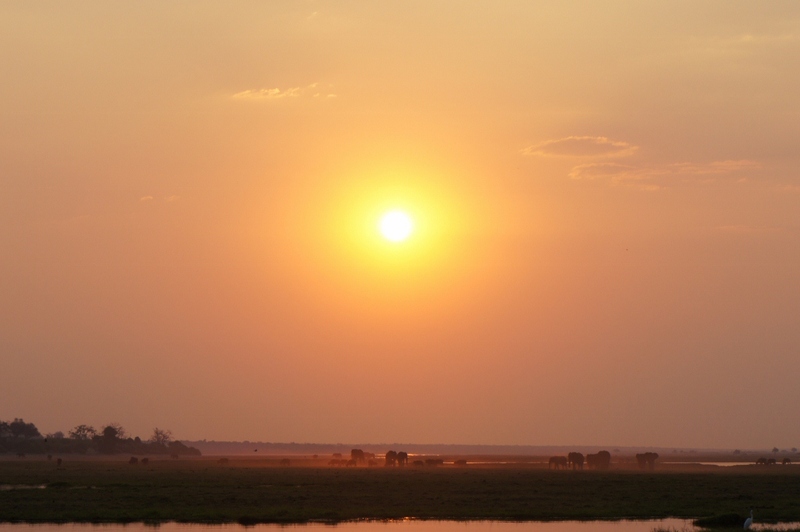 That evening, we went for a sunset river cruise down the Chobe River which separates the border of Botswana and Namibia. The views were incredible. 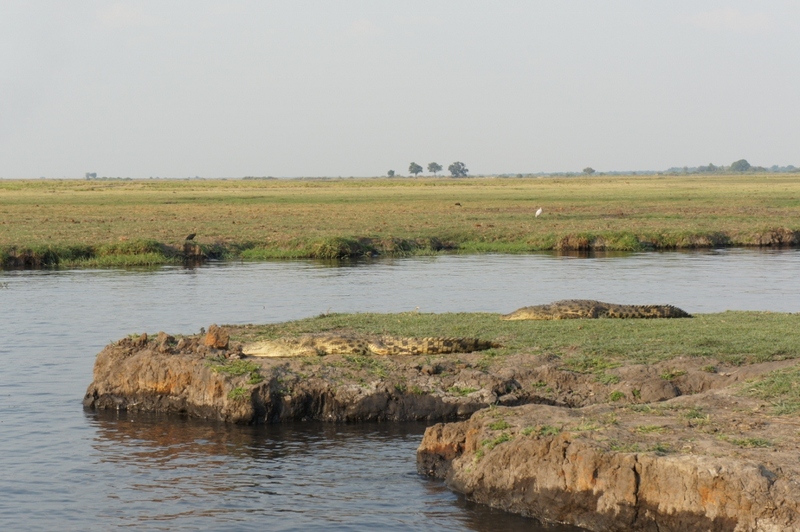 Crocodiles, birds, herds of cape water buffalo, rafts of hippos and elephants roamed as far as we could see. The sun was bright red and the silhouettes of the grazing animals over the plains was incredible to see. 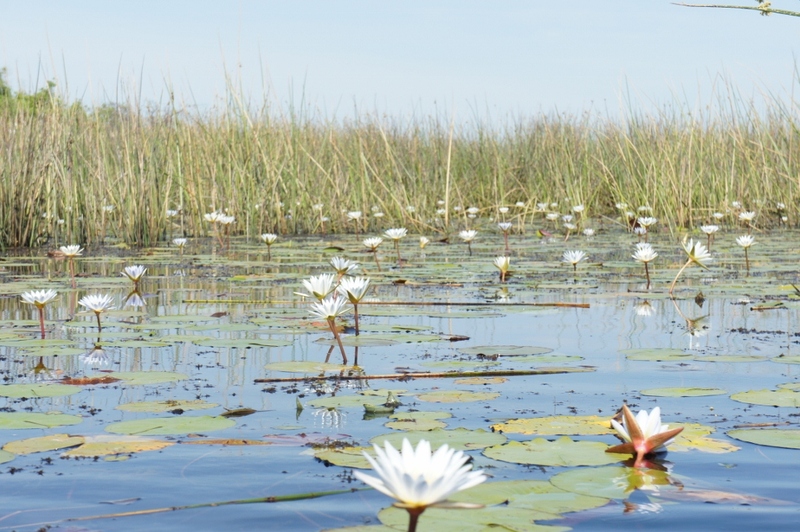 The Okavango Delta and Chobe National Park did not disappoint. This completes our search for the Big Five, but we still have a lot of game viewing to come. For now, we head to the border to cross into Zimbabwe! Disclosure: We are traveling on an overland safari with Africa Travel Co. and have received a trip discount in exchange for sharing our experience. These thoughts and opinions are completely our own. 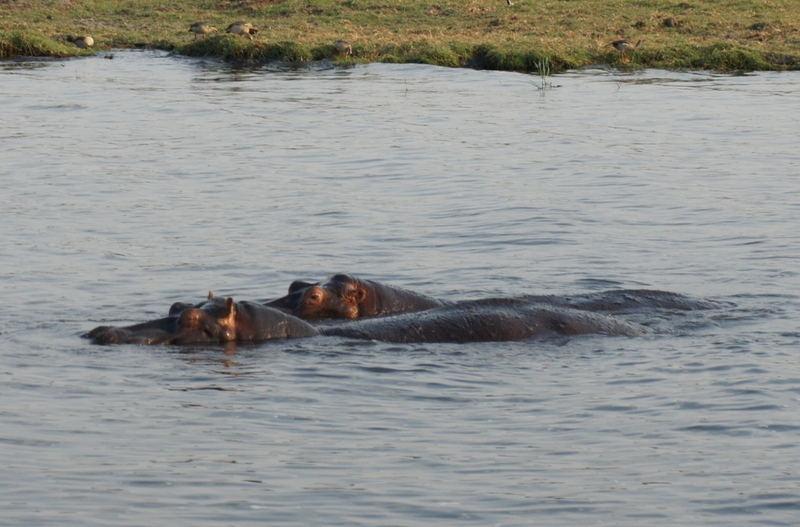 Was it dangerous to raft so close to the hippos? The polers have lived their entire lives by the delta and know when and for how long we could be around them. Such a cool experience! I’ve said it before but I will say it again – WOW!!! I love these pictures, especially the canoe ones! What a great adventure! 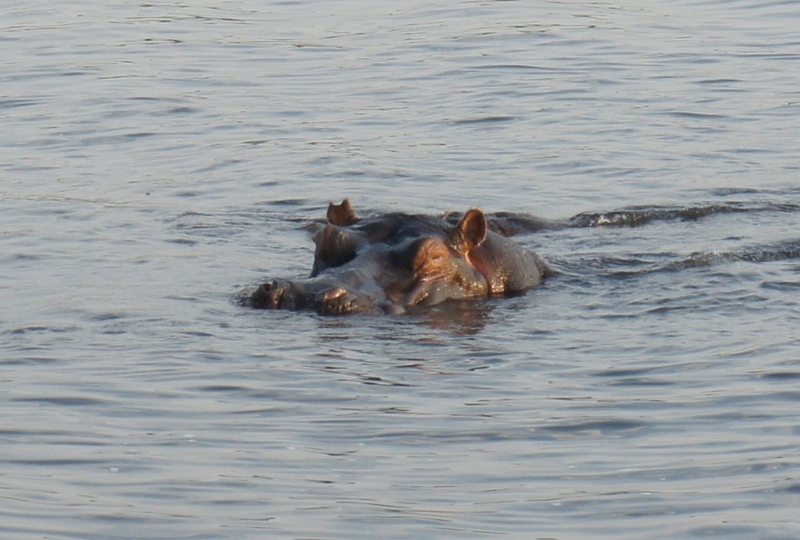 Were you ever afraid, especially of the hippos in the water? Not at the time but looking back, maybe we should have been! Wow, you had some great sightings!